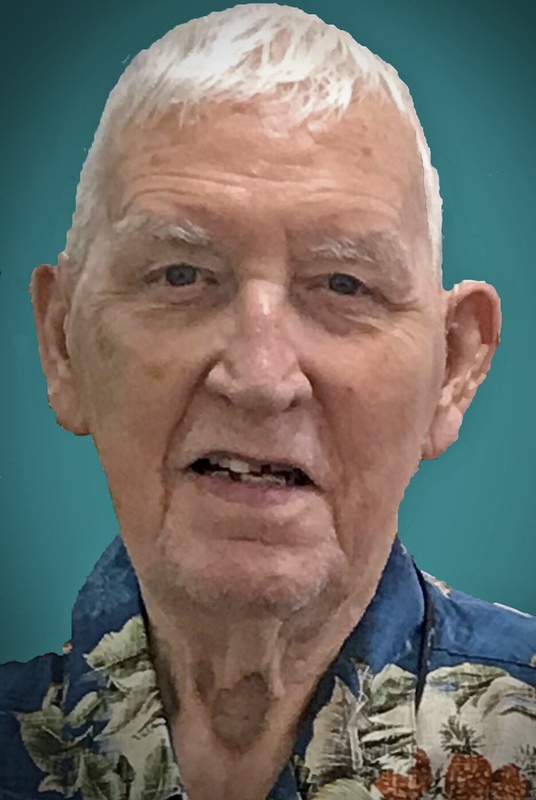 Donald Lee "Don" Wood, age 88, formerly of Richwood, died Tuesday, March 19, 2019 at Providence Newberg Hospital in Newberg, Oregon. He was born April 29, 1930 in Richwood to the late Vernon Wood and Hazel (Jerew) Wood. His father died in November 1990 and his mother died in October 1995. On December 23, 1949 he married Marilyn Jean (Miller) Wood his high school sweetheart in the Richwood First United Methodist Church. They were happily married for 60 years until she passed away in November 2010. After Marilyn’s passing, he was lucky to meet Vera Lupinek and in November 2012, they married in King City, Oregon. Vera was his dedicated, loving and caring wife during their time together. She continued her devotion to him as his Parkinson’s disease progressed and he moved to an assisted living facility where she visited religiously every day and ensured his care and well-being. He is survived by his wife Vera, son Tim(Sharon) Wood of Lake Oswego, two grandchildren, Geoffrey and Cameron, and a brother Roland (Phyllis) Wood of Richwood. Don graduated from Richwood High School in 1948 where he played football and basketball. After graduation he proudly enlisted in the U.S. Navy and served aboard the U.S.S. Valley Forge during the Korean War. After service, he began a career of 35 years with the Ohio Edison/First Energy Company first at the Scioto Plant and then at the W.H. Sammis plant near Wellsville, Ohio eventually becoming a shift supervisor and later contributing his years of experience and knowledge in advisory roles. Don enjoyed camping, served as scoutmaster for Boy Scout Troop 22, played golf and established a perfect record of attendance at his grandson’s sports and school activities. He was extremely proud of his grandsons and their achievements. He was an avid Ohio State fan who closely followed the Buckeyes even after moving to Oregon in 1998. Funeral services will be held Thursday March 28, 2019 at 2:00 pm at the Stofcheck-Ballinger Funeral Home in Richwood with Pastor Joseph Rhea officiating. Military honors will be conducted by the Richwood Area Veterans. Burial will follow in the Claibourne Cemetery. Friends may call one hour prior to the service beginning at 1:00 pm at the funeral home in Richwood. Memorial gifts may be made to the Richwood First United Methodist Church, 18 S. Fulton Street, Richwood, Ohio 43344. Don's passing brings to mind memories of some good times beginning in the early 1950s when a group of six young couples formed a Euchre Club. Don and Marilyn were members of that group, as were Harold and Evelyn Baker, John and Emma Cheney, Dan and Phyllis Cramer, John and Barbara Wiley and Loy and Becky George. Don and Marilyn were the first to leave when his work caused them to move from the area. Time changes most things - now only one of the couples and two widows are still living. #4 Private Log in to view. Rest in peace Uncle Donald..I never got a chance to get to really know you well, but always enjoyed seeing you and Marilyn and Tim. Condolences to Tim and his entire family. With love and sincere respect. Kay...(Wood) Totman. #6 from: Lester E Wall, M.D. Don and I grew up within a stones throw of each other on N. Clinton and Wood streets in Richwood. Being the same age we went thru school together. As closest friends we were seldom apart, sharing the great adventures of boys imagination. I loved my gentle giant friend. Although we traveled different paths as adults he remained my dearest friend. I send my condolences to the family who are each lucky to have had him as a father, brother, grandfather and wife. May Don rest in peace with his truly love, Marilyn. Don Woods (better known as Jake )was a good friend of mine. We played football and basketball in High School. Jake was a big man at yhat time he was over 6 ft tall and over 2oo lbs. aright takle who could open holes so i could run the ball. we did some things not menyional but he was a fine person and had a great family.